Welcome to the home of 'Productive Laziness' and 'The Lazy Guy'. Peter Taylor is a dynamic and commercially astute professional who has achieved notable success in business. His background is in project management and marketing across three major business areas over the last 28 years and with the last 8 years building and leading PMOs. He is an accomplished communicator, a professional speaker, workshop trainer and PM/PMO consultant. He also offer training and support in public speaking and delivering better presentations. 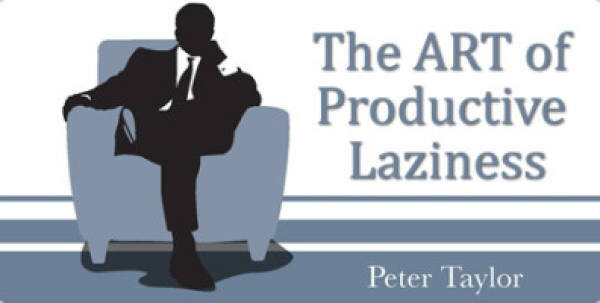 Peter is the author of ‘The Lazy Project Manager’, The Lazy Winner’ and ‘The Lazy Project Manager and the Project from Hell’ (Infinite Ideas), as well as ‘Leading Successful PMOs’ (Gower), ‘Project Branding’ (RMC) and ‘Strategies for Sponsorship’ (Management Concepts). More information can be found at www.thelazyprojectmanager.com and www.leadingsuccessfulpmos.com and www.thelazywinner.com – and through his free podcasts in iTunes.